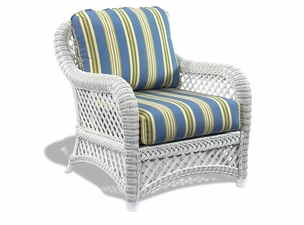 Using bathroom wicker furniture is so popular due to the woven and open airy look of the furniture. 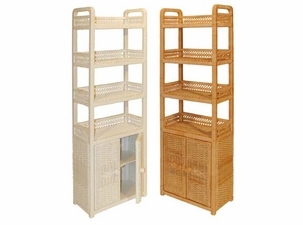 This is practical and opens up an area. 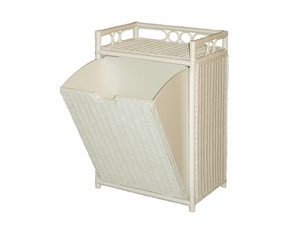 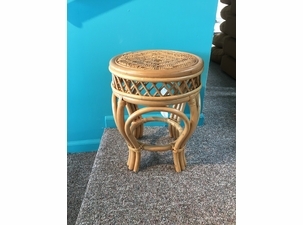 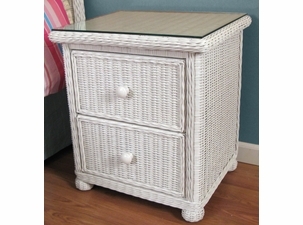 Shop our bathroom wicker today! 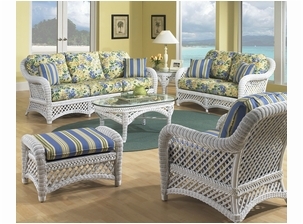 The durability and beauty of wicker makes it one of the best materials for any room. 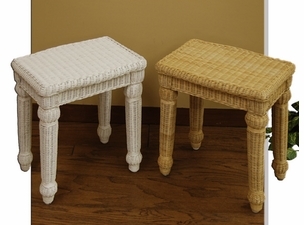 Of course, if you are looking for a more practical use of wicker furniture in your bathroom than you might want to consider our selection of useful products. 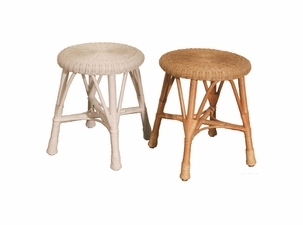 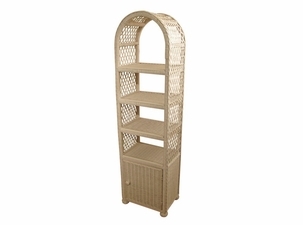 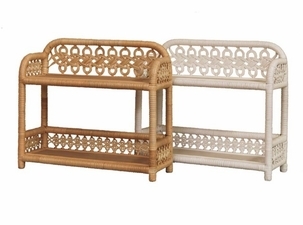 For example, we offer wicker hampers, wall shelves, utility cabinets, and corner stands. 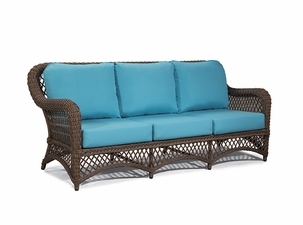 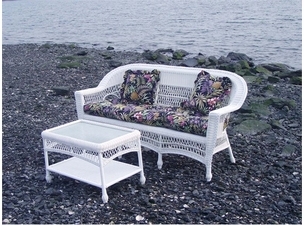 Wicker is traditionally thought of as the perfect material for furniture in a cottage or beach home. 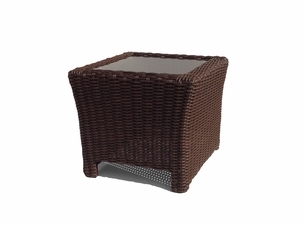 However, it has quickly gained popularity as a material that can be used for virtually any space inside or outside of the home. 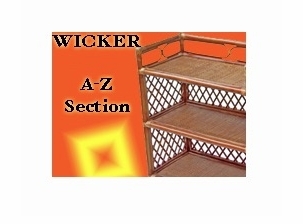 For example, the bathroom is one area of your living quarters that could greatly benefit from a wicker facelift. 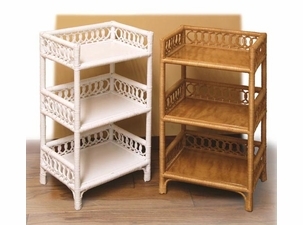 Of course, wicker is more than just the perfect hamper material it can also be used in several other pieces such as cabinets, shelves and stools. 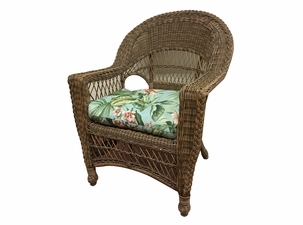 In fact, the uses for wicker and rattan are virtually endless! 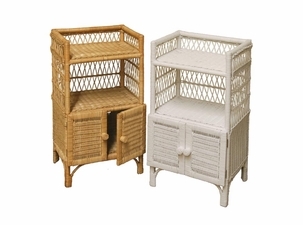 Imagine for a moment how your bathroom facilities would look with a complete set of wicker furniture. 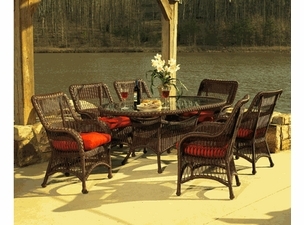 Dark mahogany colored wicker paints an atmosphere of relaxation and comfort while bringing a unique style that other material cannot. 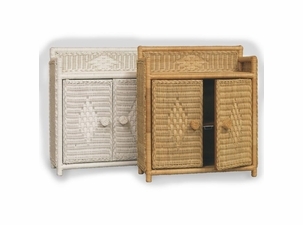 Turn your imagination into reality by browsing through our extensive selection of wicker bathroom furniture. 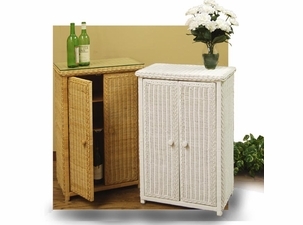 No more hiding your items in drawers, now you can display your decorative items in a tasteful and stylish manner with our beautiful wicker cabinets! 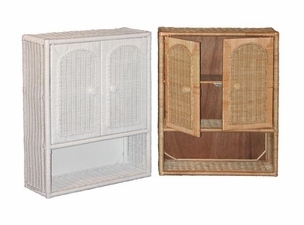 From medicine cabinets to jelly cabinets, we have everything you need to make your bathroom both functional and beautiful. 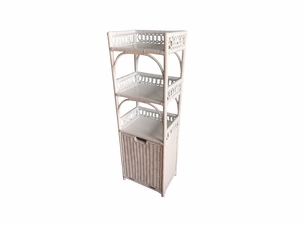 Check out our extensive selection of products below to discover how you can transform your space into an environment that has style and purpose!